Pershing Square&apos;s Bill Ackman appeared on Bloomberg Television for an hour today from the Robin Hood Investors Conference in New York, telling Bloomberg TV&apos;s Stephanie Ruhle that he&apos;ll take his Herbalife bet "to the end of the earth" even as he has lost $400-$500 million on the investment. He also said that Herbalife longs are all 80-year old billionaires. 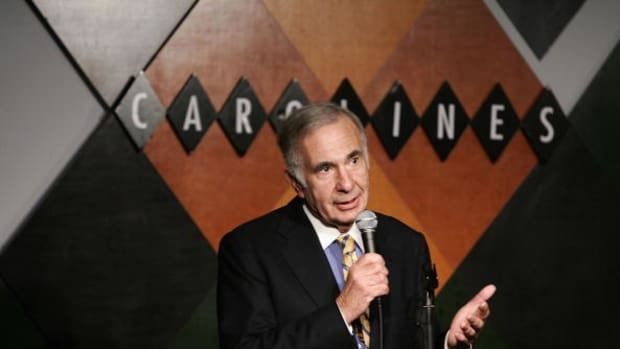 Carl Icahn responded to Ackman in a conversation with Bloomberg TV&apos;s Trish Regan, saying: "I fail to understand how Bill Ackman, whom I haven’t spoken to for years, nor do I intend to speak to, would know what I am or am not committed to. I continue to believe Herbalife has a great future, and in my opinion many of the things Ackman says about it are simply the rantings of a sore loser…Interestingly there is something that Ackman and I have in common. Ackman complained at an Oxford conference that every time I went on TV and mentioned Herbalife, the stock went up a few points. Well, that&apos;s also true of him."